Have you ever wondered how you could find the perfect balance between living a beautiful, fulfilling life and building an amazing career? It doesn’t matter if you have a full time job or if you just started freelancing, it doesn’t matter if you work in finance or in art. Whatever you do, you’re probably looking for that perfect balance. But what is that balance? What does it mean? Does being very busy mean you’re very successful? And what IS success for you? First, let me tell you about my own story of trying to find a balance and what success means to me (and also a little bit of backstory too, I’ll try to keep it short, I promise!). I was born into a beautifully imperfect family of artists and designers. My grand father was a very talented graphic designer, illustrator and photographer. He worked at Hachette for years before going freelance (back in the 80’s, it was such a brave move! No social media, no real web to speak of). He used to do everything by hand (no Photoshop, no Illustrator!) and had the best handwriting…He was also very into typefaces. Univers and Futura were amongst his favourites. He was a maker and a thinker. He loved playing and teaching chess, building polystyrene planes, creating never-ending family trees, and staying up all night to photograph beautiful storms in Corsica. Ah, Corsica, my favourite place on earth. My grand-parents were living near Paris until they retired and decided to move back to Corsica, in the early nineties. That was probably when I was 3 or 4 years old. Perfect timing for my brother and I to go visit them every summer, for two fantastic months, each year. Even though I was raised mainly in the suburbs of Paris, these two months in Corsica, each year, were very influential in shaping me and my vision of the world. My grand dad was a talented free spirit that was so passionate about nature. He was also a very hard worker. Both my parents were hard workers too. Both designers (for cosmetic compagnies mainly), they taught me a lot about design, colour and composition from a very early age. Well, just being at home was a design lesson in itself! I was lucky to get to play around with the first versions of Illustrator and Photoshop when I was a kid because they were using them for work. Especially my mum. My mum took the leap to go freelance just after my birth (or was it after my brother’s birth?) and was obviously always around when we were growing up. I got to see first hand the ups and downs of freelance life, the stress about work, the stress about money. I knew very early on I wanted to work in an artistic field. But I think I also knew early on that I wanted to feel free. I wanted to do like exactly my mum. Work and play when I wanted. I wanted that freedom. There was no chance I was going to get an office job and follow other people’s orders (I actually did try that, but it didn’t last long). Success to me was living my life like there was no tomorrow, doing what I loved and growing along the way, trying to be happy and make other people happy around me. Anyway, back to finding a balance, eh! I LOVE working and I love what I do. I feel so lucky and incredibly privileged to get to design and illustrate things for a living. Ahhh…living. I LOVE living too. We only have one life, and we can’t spend it doing things we don’t like. That would be such a terrible waste. We have to wake up every morning feeling grateful to be alive, ready to experience new, wonderful things and ready to chase happiness. Whatever you’re doing for a living, you can’t let that take over your pursuit of a happy life. Living your life the way you want it, doing things that fulfill you and make you a better human being, should be the most important thing on your mind. You are important and you can’t let your one chance at living slip away from you. That’s where you need to think about balance. You do need to make a living, because that’s how the world works right now. Money isn’t fun, but money is needed, at least a tiny bit of it. You need a job that brings enough to pay the bills. But that job doesn’t have to be killing you. If there is one thing I like about technology nowadays, it is that you can virtually do anything from anywhere, and you can make your own dream job come true, whatever it is, as long as you’re really passionate about it (and hardworking!). So you can make that dream job happen, and when it does, you need to make sure that it is not taking over your life. You can find that balance of working hard and playing hard. And if you can do a little bit more of play than work? Then do it! Life’s too short to work too hard when you could be sipping a cocktail on a beach, at sunset, on a very lost island in the Pacific. Right? So have I found the balance? I’d like to think that I did. I do have a lot of ups and downs (freelance life is like that, you just try to get used to it) but I feel free and in control (to a certain extent). Do I feel successful? Sometimes I do, sometimes I don’t. Happiness makes me feel successful. Feeling free makes me feel successful. Freelance life is very rewarding and I love the excitement you get from not knowing what will happen tomorrow. 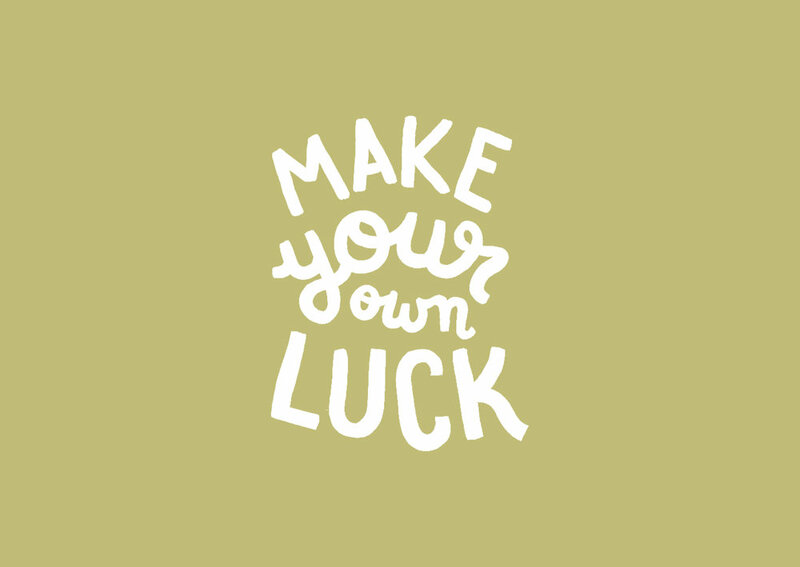 Being a freelancer also means you make your own luck. And I love that. Now, I’d like to know, have you found your balance? Or is it something you’re working on? And what does success mean to you?